Preheat oven to 180°C. Lightly grease a pie dish. Brush the melted butter over the phyllo pastry then lay onto the pie dish. Bake until crispy and golden brown then allow to cool. 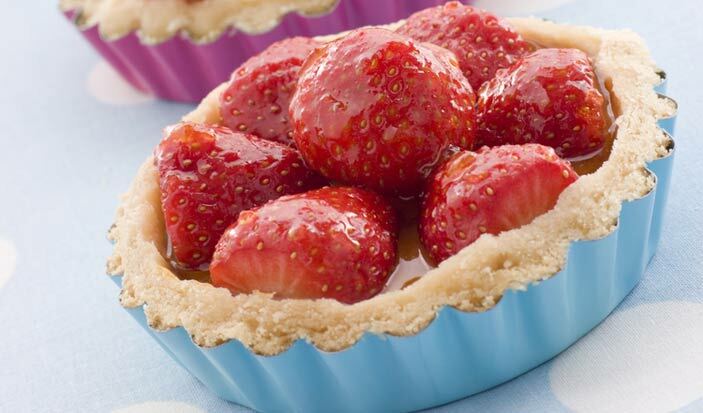 Spread the nutella over the cooled pastry then spread over the strawberries, dust with the icing sugar then eat immediately so that the bottom does not get soggy.